After you leave the A30 and follow the B3277 to Mount Hawke you come over the brow of a hill and a vista of the north Cornwall coast opens up before you. 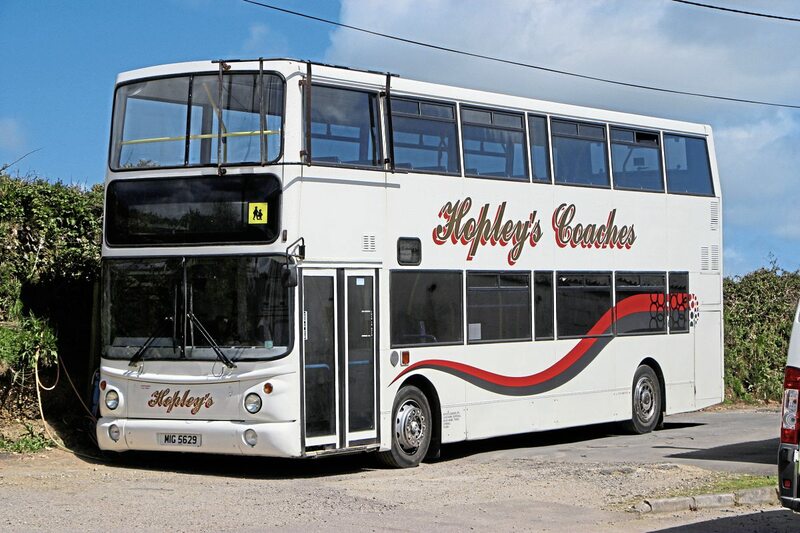 With wild flowers lining the sides of the roads, a bright blue sky with white fluffy clouds, the vivid yellow of the gorse and the sea beyond the sloping land, it is an uplifting introduction to the area in which Hopley’s Coaches operate. Based slightly out of the village on a former farm, the business operates 24 vehicles on work that includes stage carriage, school contracts and private hire. Nick Hopley isn’t one to seek the limelight but when I was in the South West recently I called him and he agreed to tell me about the company which he runs with sons Rob and Matt. Nick has lived locally since he was a baby though he wasn’t born here; he hails from Macclesfield in Cheshire where his father, Brian, and grandfather, Frank, ran Fourways Garage, a filling station at Wincle. In 1962, the year Nick was born, they were approached by the council to take on a school contract with a minibus. Brian was interested in coaching and went out and bought a Bedford SB coach with a season of touring work to the Isle of Wight and Cornwall on alternate weeks. Nick believes this was from Robinsons of Great Harwood but has nothing in writing to substantiate it. Frank covered the Isle of Wight and Brian the Cornish tours, rapidly falling in love with the area. 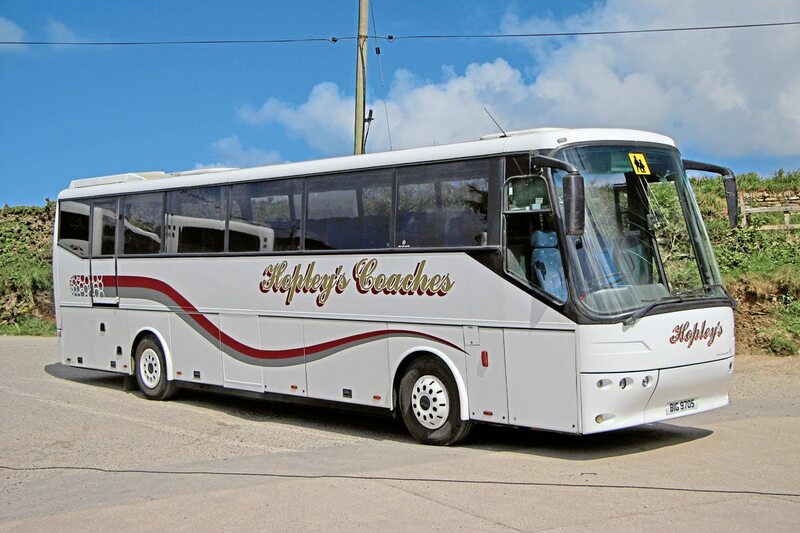 He started looking for a business to buy locally and in 1964 happened across Carter Brothers Coaches, based in the centre of the village of Mount Hawke. This had been started by two brothers when they were demobbed in 1947. A letter outlining what was on offer (dated 53 years to the day before my visit) still hangs in a frame in the drivers’ mess room, along with a rack of Bellpunch tickets from the bus service Carters provided covering the nine miles between Porthtowan and Truro. This ran three times daily, four on market day. 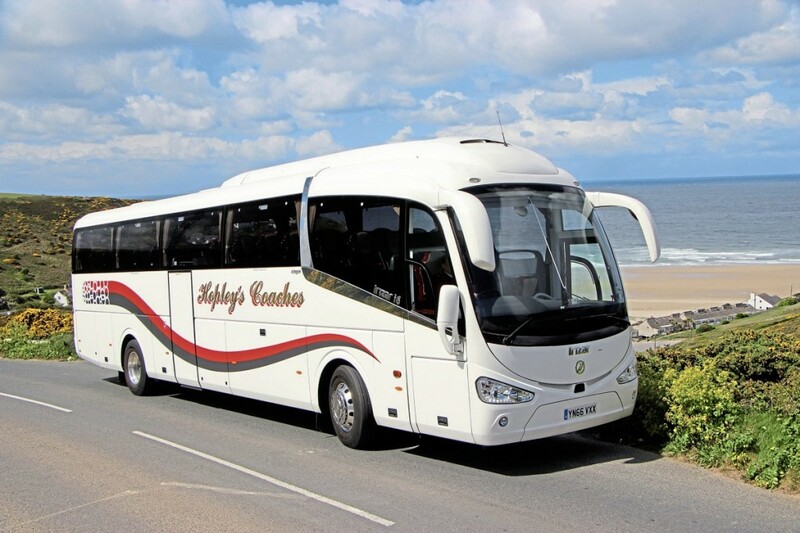 Excursions and tours were operated from Porthtowan and private hire all over the country, as well as a school contract. 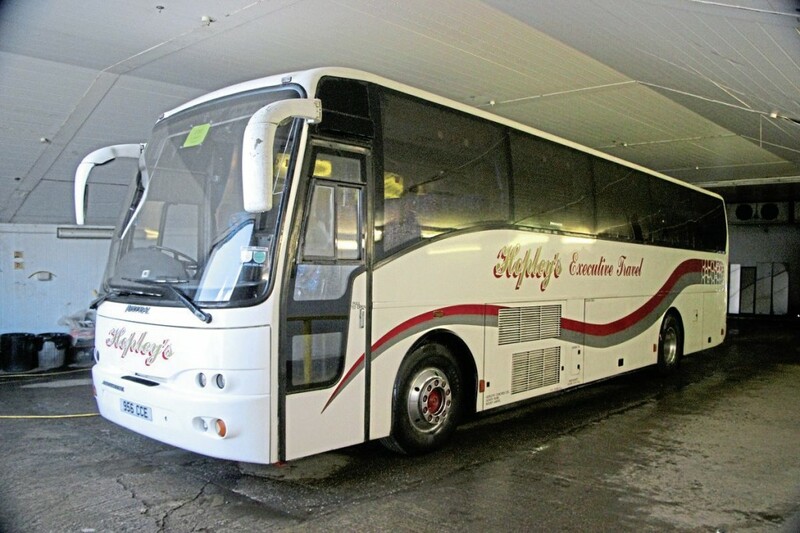 Annual turnover was £4,000 and the asking price was £2,850 which included the half acre site, a three coach garage and the two rather elderly Commer Commando coaches with 31 seat Harrington ‘fishtail’ and 35 seat Allweather bodies, both with heater and radio. Nick recalls his father saying Allweather was the right name because it leaked, as did the Harrington. The deal was concluded and in June 1964 the Hopley family relocated. There had been no living accommodation on site but permission was obtained to build a small bungalow at the front of the property. Neither of the Commers stayed long though they did run alongside the Bedford SB for a while. Brian set about building up the business and it went well for the next couple of decades, though the fleet size never went beyond four coaches. Around 1987 he suffered a heart attack and the business was subsequently put up for sale. A buyer was found and contracts drawn up, only for the deal to fall through at the last minute, and for the next couple of years it barely ticked over. Nick had grown up with it but did not initially go into coaching, instead training to become a farm manager and later working for the Ministry of Agriculture. In 1989 he was 27 and already had two of his three sons but came back to the business to ‘give it a few years and see whether it was worth doing.’ When he arrived, there was the service and the school contract but there wasn’t a single private hire job in the book. He had nowhere to live so he moved into the bungalow on site. ‘It was a real slog for ten years, a real grind,’ he recalls. Brian died in April 1999. Then the Morrisons supermarket group took over Safeway which turned out to be the big break Nick had been looking for. One of Safeway’s suppliers had used Gover Farm for packing greens and cauliflowers but the new owners already had a similar facility and didn’t need the site any more. It was ideally located off a road the bus service already served, within sight of the old depot, yet out of the village centre. Hopley’s bought five acres of around 400 acres that were sold, including two houses and a 1.5 acre yard with workshop and offices already in place. Some of the land and one of the houses was resold to help finance the move, as was the original yard, which now has four houses on it. ‘I go back there now and wonder how we got the coaches up there,’ he said. For the first time in the company’s history major expansion was now possible. Very little needed doing to equip it for bus and coach operation, just the installation of a full length pit and some roller shutter doors. ‘It was about perfect for us,’ said Nick, ‘though we have done a few things since.’ In terms of location, it is five minutes away from the A30 and from there you have good access to everywhere in the country. There is room for the fleet and a little expansion. 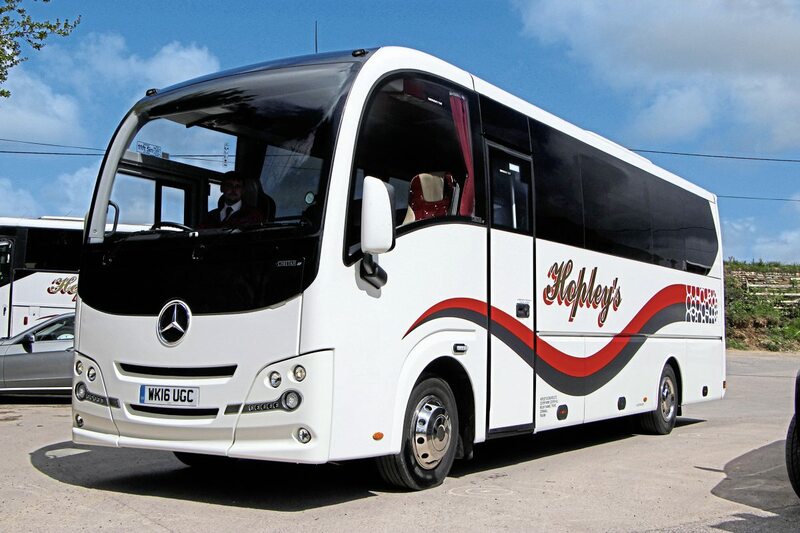 Everything goes back there every night except one coach that is out-stationed in Bodmin. He points out that, in contrast to the past, August is probably the company’s slackest month. ‘In father’s day, when people came on the train, you did tours, but it doesn’t happen any more.’ The railway past the back of the depot disappeared under Beeching but the line down the spine of the County remains. Nick believes that the nature of the geography means that a lot of work tends to be for coaches and that being out on a limb perhaps means that there is more group travel. A source of income that was not open to Brian is the increasing number of cruise ships coming in to Falmouth and doing so over a more prolonged season. One came in on 16 December last year and the first this year was in February. When they arrive, there is considerable work for numbers of high quality vehicles. ‘Apart from our own tours and holiday company work, we do pretty much everything, though we don’t tend to go for club jobs with three in the morning pick ups,’ he said. ‘A lot of other operators in the area have dropped away. 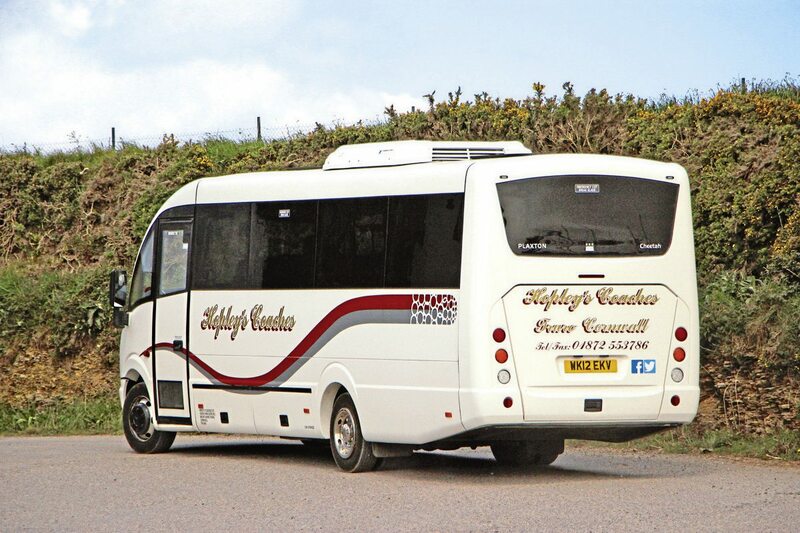 When Truronian sold to First they were doing the bulk of the private hire in Cornwall. That has left gaps. There are less people than there used to be but they tend to be bigger,’ said Nick. The stage carriage service that Carters originally provided continues today as the 304 service requiring two buses. 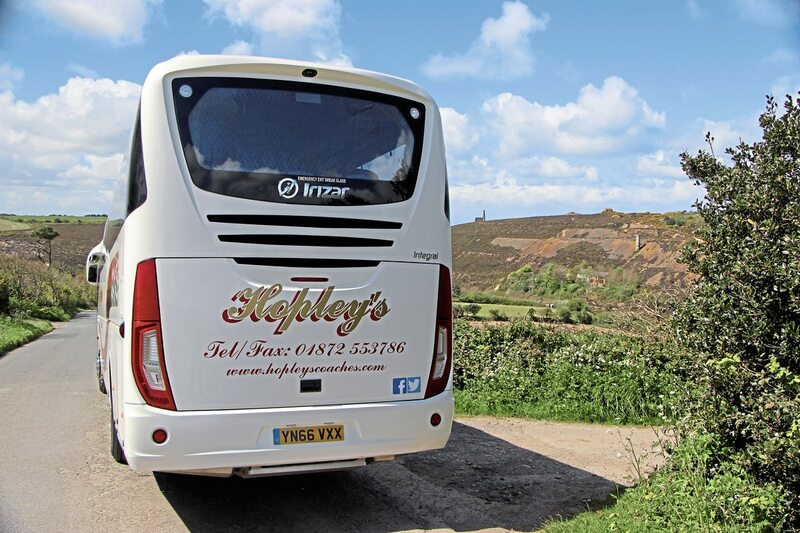 Linking Porthtowan on the coast with Truro via five villages it provides an hourly service on six days of the week. Once fully commercial, it is now partially subsidised. 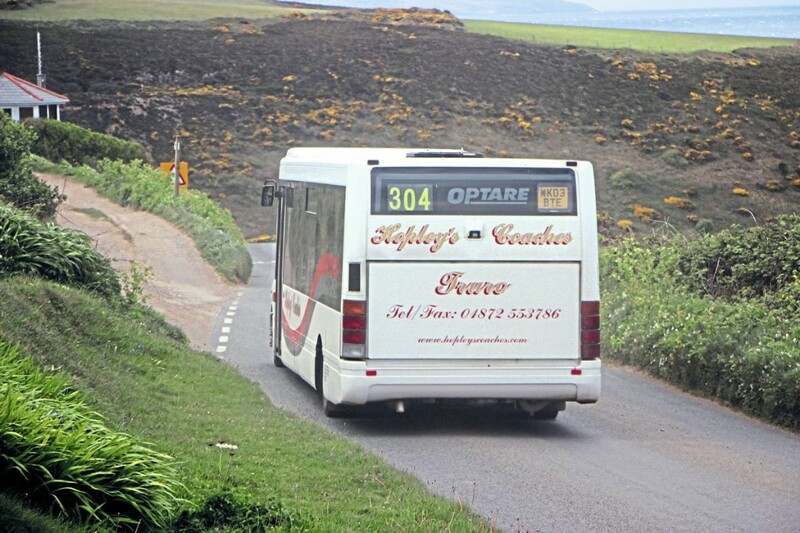 Also operated under contract is the 315 between St Agnes and Redruth. ‘The routes are out to tender and there’s no certainty,’ said Nick. Painted white with red and grey swept lines, the fleet is always well presented. 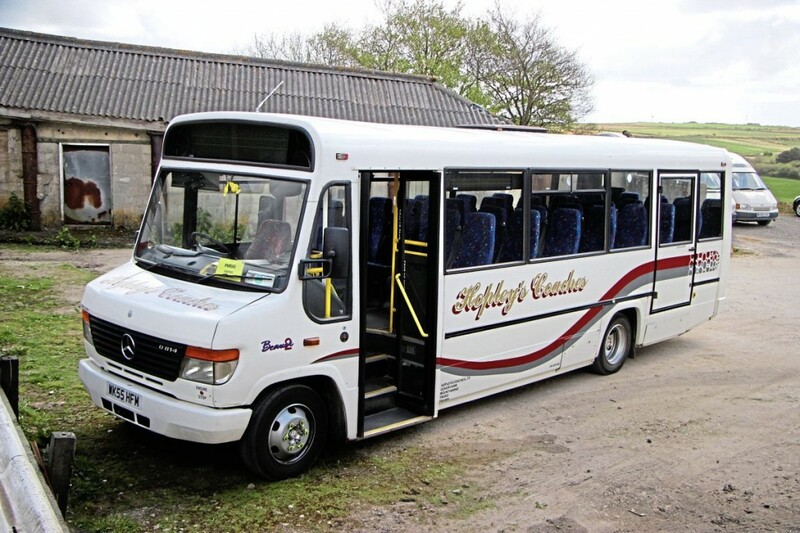 Nick has always liked his Volvos and the first he acquired, an 11m B10M with late Plaxton Supreme body formerly with Tillingbourne was only scrapped eventually because it was so old. It was still reliable. After it he stuck to Volvo. 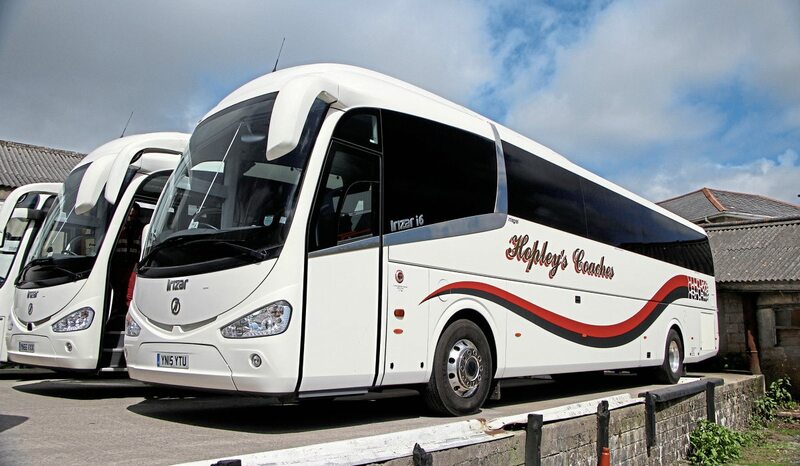 The current private hire fleet still includes a number of Volvos with Plaxton Panther coachwork. 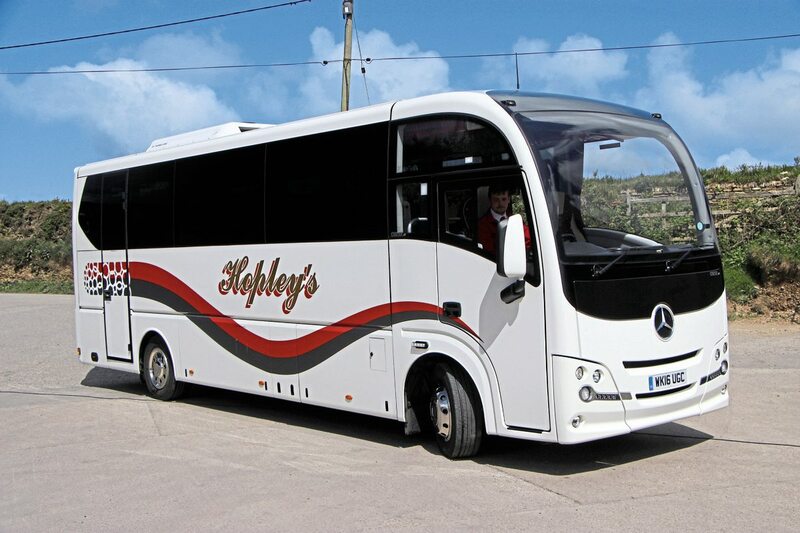 Bought new were a 57-plate B12B 12m and a 59-plate 12.8m B12M, with the third, a 10-plate 12.8m B12B, acquired from the Bowen group. 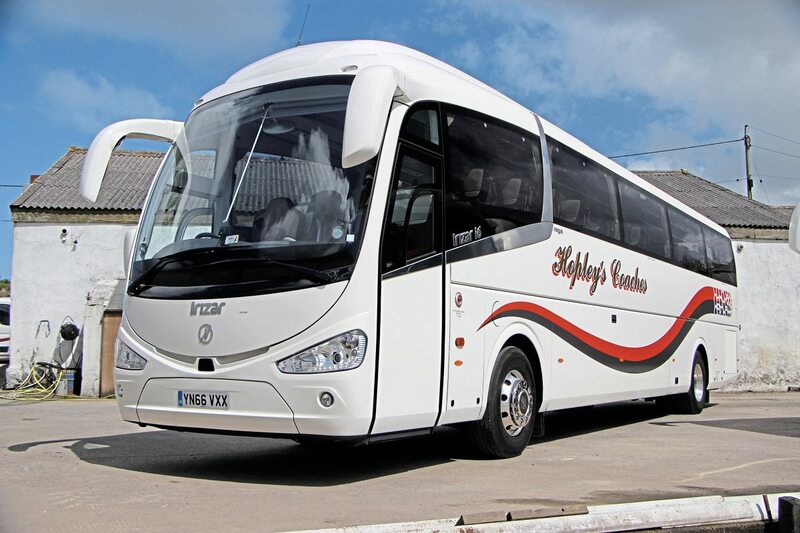 Two other Plaxtons in the private hire fleet are a 29 seat Cheetah Vario new in 2012 and a 36 seat Cheetah XL new in 2016. 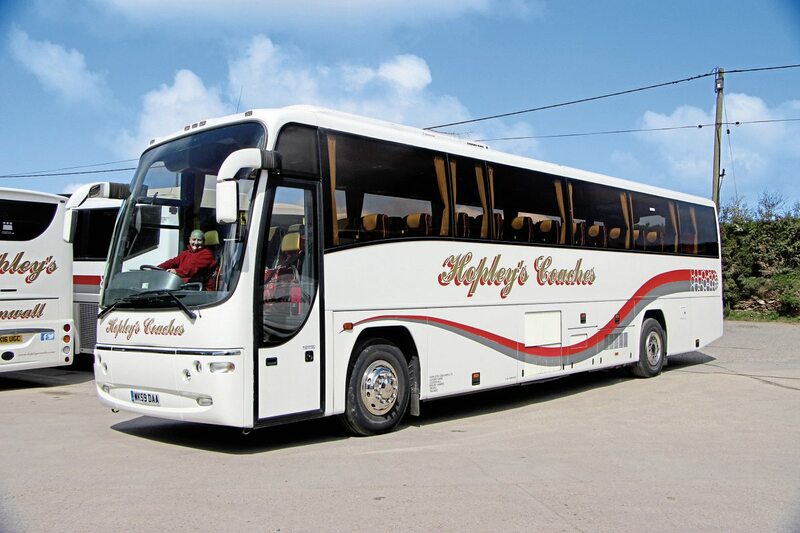 Nick is ‘generally pleased’ with the Cheetah XL which does a lot of airport transfer work. 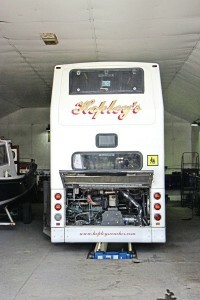 His reservations are because of noise issues that required removing the prop-shaft and rebalancing it to cure the issue. Before buying it, he looked at the Yutong TC9 and quite liked the Indcar Next but says the deal for the Plaxton was right. 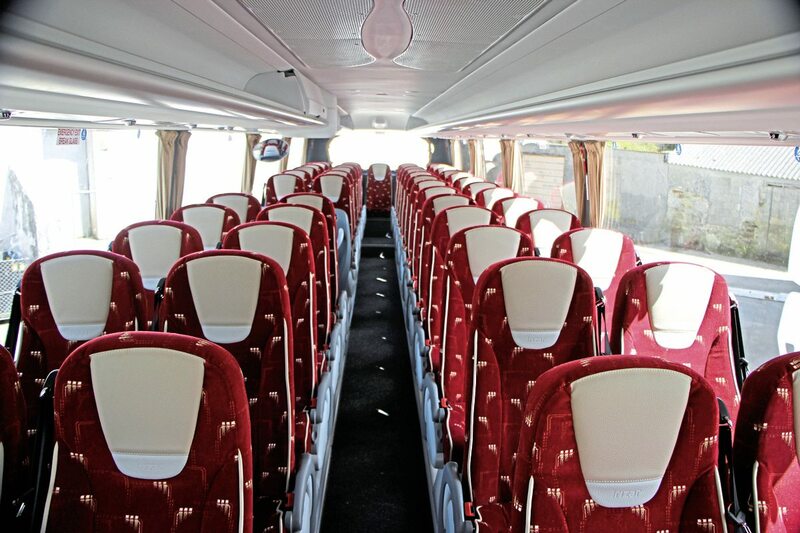 Completing the schools fleet are two late Volvo B10M Jonckheere Mistrals with 57 seats and 51 seats and a toilet respectively, as well as a 55-plate 33 seat Plaxton Beaver Mercedes-Benz Vario. Bus operations are handled by three Optare Solos bought new in 2003. ‘We look after them and they’ve been quite durable,’ said Nick. ‘They’ve done around 850,000 miles and one still has the original gearbox.’ He would happily reinvest if the work is retained. Prior to the Solos, the 304 was worked by an unusual bus for a rural operator at that time, a 1997 Volvo B10B Wright Endurance bought new with 60 3+2 seats. At the time the route was doing well and the investment was warranted to replace another high capacity bus, a 63 seat (3+2) Duple Dominant Bus bodied Bedford YRT. ‘We are very fortunate with the staff we’ve got,’ said Nick, ‘they are good staff and we try to look after them. It is important to me that we have a low staff turnover and we have that, touch wood.’ All told, including drivers, maintenance staff and the office team, there are 32 people on the payroll. There are no dedicated cleaners because it is something that drivers do themselves. The regular bus drivers are dedicated to the role, backed up by a lot of the coach team who have bus experience and share out any other shifts. Although some are usually driven by particular individuals, coaches are not dedicated to particular drivers. ‘It would be nice but it never works out,’ said Nick. ‘It’s not always easy, but we try and hang on to our good people.’ He notes that very few young people are coming into the industry and reckons the average of his own team is over 50. ‘It is worrying that a driver crunch is coming to the industry in the next decade,’ he said. Everyone in the business has undertaken a level two NVQ in addition to the ongoing CPC training required by law. A recent investment in the workshops has seen the installation of laser wheel alignment equipment, purchased because they could never get the work done when they needed it. 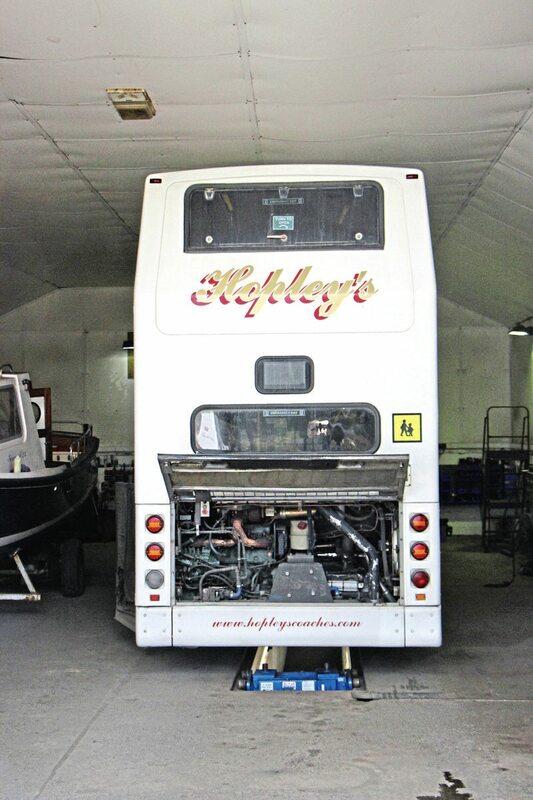 Once it was in place, it revealed that 60% of the fleet was out of alignment, albeit only slightly and now every vehicle is checked every six months. 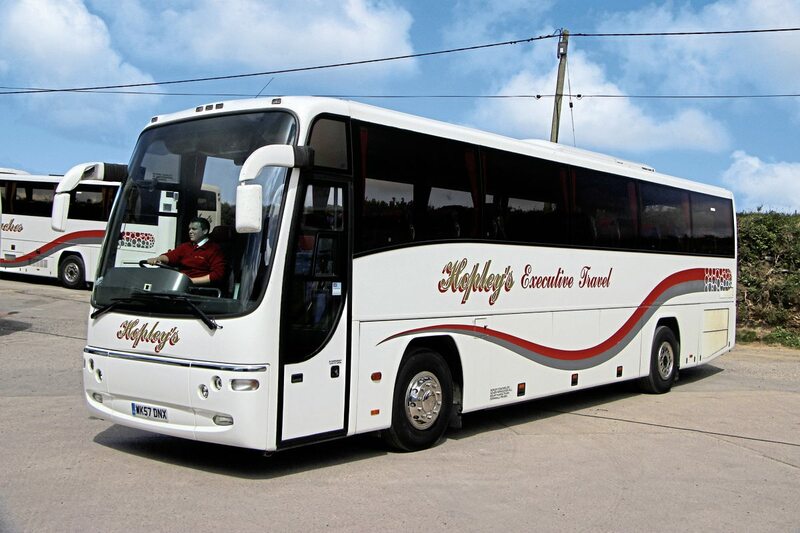 The service is also offered commercially to other operators in the area. Looking forward, Nick says, ‘I can’t see myself doing this job into my 70s.’ He is currently the only director, though his mother was also one until her death a couple of years ago. ‘I’d like to see it go on and remain successful,’ he said, and with sons Rob and Matt well embedded in the business and its sound financial situation, there has to be every likelihood that this is exactly what will happen. Nick is the CPC licence holder but both Rob and Matt have obtained their CPC qualifications in the past two years. ‘The boys know what they are doing and in another couple of years they could take up the reins and go with it. Everything is in place,’ he said. Rob, 31, is expecting his third child in early July and joined the business nine years ago, though he had not previously envisaged doing so. ‘It gets in your blood,’ he said. His brother, Matt, is 26 and joined over two years ago, having previously run a bar in Jersey. Their brother, Michael, works elsewhere.